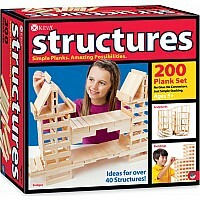 No glue or connectors required...simply stack wood planks to create buildings, monuments and geometric forms. 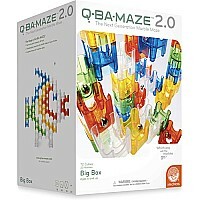 Its the ideal activity to help kids gain an understanding of balance and proportion, as well as an interest in architecture, building and design. 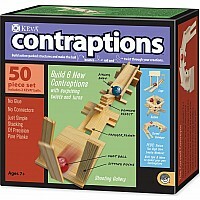 A full-color idea booklet with build-out instructions and two lightweight KEVA balls are included. 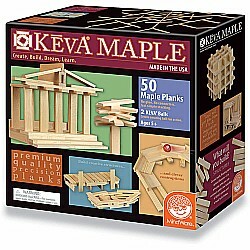 The Benefits of Maple: Premium maple planks are tough, durable and stack perfectly time after time. Beautiful maple wood grain creates works of art. 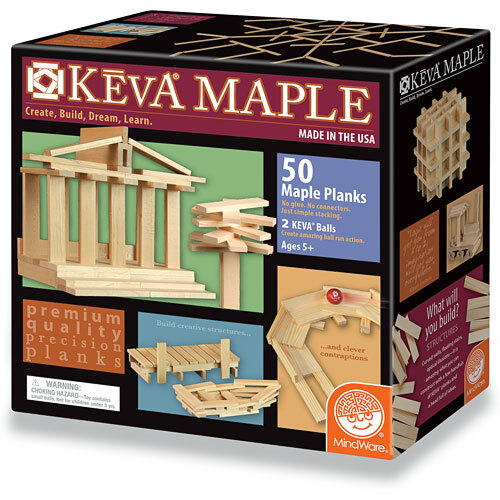 Keva Maple Planks are proudly made in the U.S. 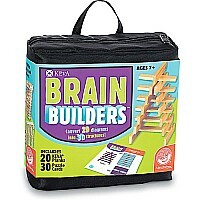 Measures approximately: 7.70 x 7.60 x 3.70 inches..